Install your fifth wheel trailer hitch in half the time with this custom bracket kit. Requires no drilling and mounts to existing holes in your vehicle's chassis to provide a secure and custom fit. Call 800-298-8924 to order Curt accessories and parts part number C16441 or order online at etrailer.com. Free expert support on all Curt products. Guaranteed Lowest Price and Fastest Shipping for Curt Custom, No-Drill Fifth Wheel Bracket Kit for Ford F150. Accessories and Parts reviews from real customers. 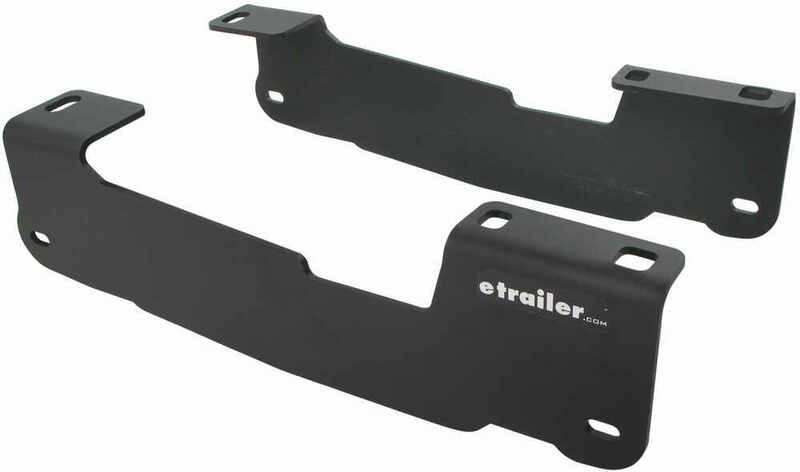 Install your fifth wheel trailer hitch in half the time with this custom bracket kit. Requires no drilling and mounts to existing holes in your vehicle's chassis to provide a secure and custom fit. We are going to take a look at the Curt Custom 5th Wheel bracket kit for the Ford F150 truck. Now this is a custom fit part. It is designed to fit the 2004 to 2014 Ford F150 truck so either 6 and a half foot bed or the 8 foot bed. Now, on a custom fit part I always like to recommend for you to go to our website, use our fit guide, put in your year model vehicle and it'll show you if this will work for your application. 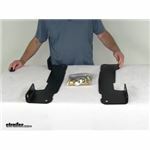 Now, these custom brackets will mount beneath your truck bed. They do provide the attachment points for your 5th wheel base rails to attach to. Now, the base rails we do sell separately. This does require the Curt base rails and we sell those in 2 part numbers, either C16104 or C16204. Now, these brackets will provide a custom fit by mounting to existing holes in your vehicles frame. This will help minimize the amount of drilling that is required and it will cut your installation time in half when compared to universal bracket kits. 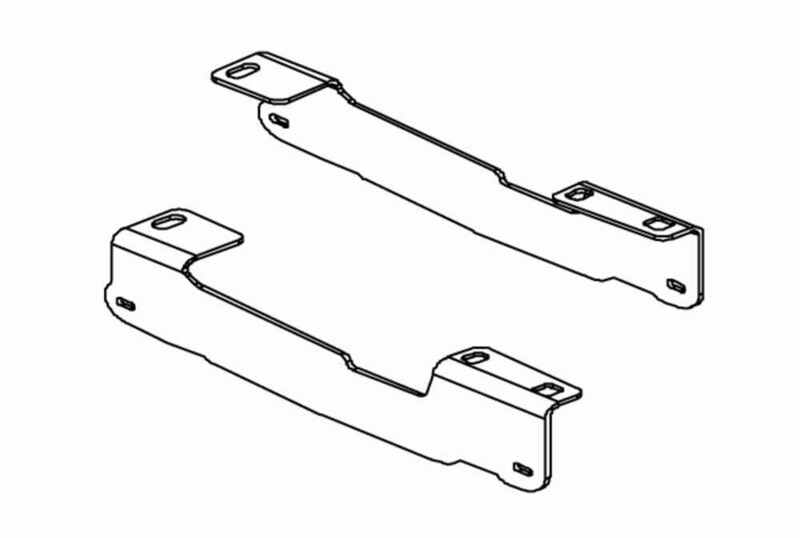 This part does include the 2 mounting brackets, one for each side of the vehicle. All the mounting hardware you need to install it and a nice set of detailed instructs on how to install everything. Now, when these brackets are used with the Curt based rails, this part is compatible with BMW, Curt, DIMCO, Draw Type, Hidden hitch, husky, Reese, and Valley 5th wheel hitches but that should do it for the review on the Curt custom 5th wheel bracket kit for the Ford F150 trucks. Order: RelevanceNewestRating - High to LowRating - Low to High Install your fifth wheel trailer hitch in half the time with this custom bracket kit. Requires no drilling and mounts to existing holes in your vehicle's chassis to provide a secure and custom fit. The Curt Custom, No-Drill Fifth Wheel Bracket Kit # C16441 fits Ford F-150s from 2004-2014. 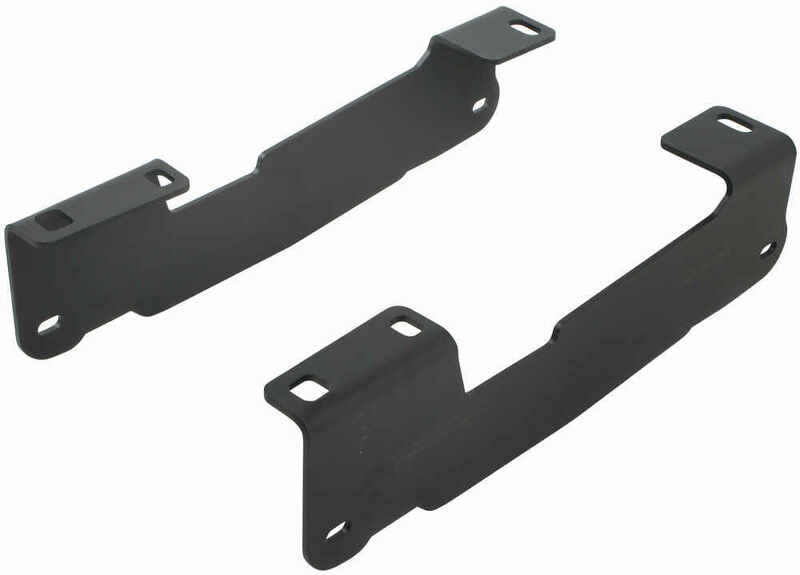 For the 2015 Ford F-150, you will want to use bracket kit # C16442. The Curt under bed brackets, # C16441 do fit your 2011 Ford F-150 short bed but they are just the under bed brackets and not the whole installation kit. 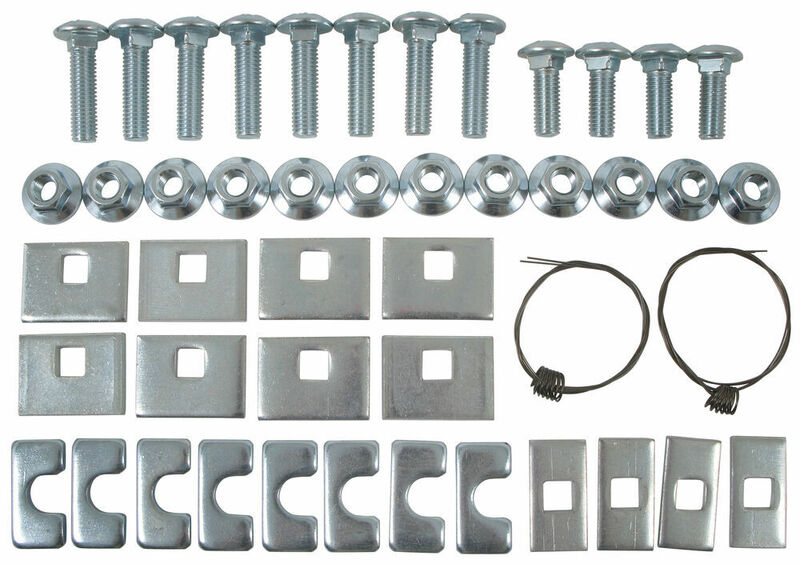 For the whole installation kit that includes the brackets, rails, and hardware, use # C16441-204. The rails included are industry standard rails and they will accept your Reese 16K 5th wheel trailer hitch. Yes, you can get just the under bed brackets and hardware for a 5th wheel hitch rails for your 2005 Ford F-150. If you have Curt rails then you can use # C16441. If you have Reese, Draw-Tite, Hidden Hitch or Pro Series rails you would need # RP50081 and hardware kit # RP58430. According to my contact at Curt Manufacturing the installation hardware supplied with their Custom No-Drill Fifth Wheel Bracket Kit for Ford F150 # C16441 is rated as Grade 8. The linked installation instructions include the required torque specification. The Curt # C16441 brackets are for 6-1/2 and 8 foot bed trucks. Since your 2013 Ford F-150 has the 5-1/2 foot bed you'll want the Reese Quick-Install Kit # RP50081. This will fit your truck and give it includes all new hardware. The Curt Custom No-Drill Fifth Wheel Bracket kit, part # C16441 would work great on your 2004 F-150. This bracket kit includes the custom brackets and hardware needed to attach the above bed rails in your truck bed. This hardware kit will work well with the # C16100 base rails you said you have. The Curt Custom No-Drill Fifth Wheel Bracket Kit for your 2010 Ford F-150 is part # C16441. This bracket provides a custom fit by mounting to existing holes in your vehicle's frame with no drilling required. If you also need the base rails for your truck, Curt offers the Carbide Black Finish, # C16204, and the Gloss Black Finish, # C16104. 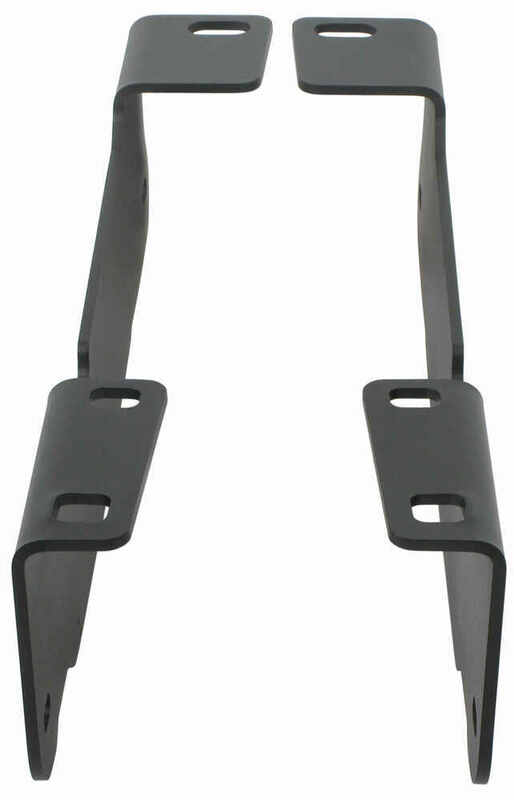 The Bracket Kit, # C16424, that you mentioned is designed for the 2011-2013 Ford F-450. I spoke with my contact at Curt and he stated that the Curt Custom, No-Drill Fifth Wheel Bracket Kit, # C16441, will fit your 2005 Ford F-150 Supercab with 6-1/2 foot bed. The complete kit that also includes the rails is # C16441-104. I have included a link to the installation details for you to view. Curt does not offer no-drill fifth wheel brackets for a 2016 Ford F-150 5-1/2 foot bed and since we can't recommend mixing brackets and rail manufacturers your best option would be an all-new kit that is custom fit like the Reese quick-install kit # RP50087-58 since this is a no-drill solution will fit and work well. According to Curt, the Custom, No-Drill Fifth Wheel Bracket Kit for Ford F-150 # C16441 is going to require you to use Curt base rails, either part # C16104 or # C16204 as these are the rails the mounting brackets were designed to be used with. I have added a link to a video review of the bracket kit for you to take a look at as well as links to video reviews of the rails. I can't recommend mixing bracket and rail manufacturers so if the rails are Husky then you should be using the Husky brackets for your 2010 Chevy Silverado 1500 short bed. The brackets with hardware are # HT32831. The problem is that the brackets and rails from different manufacturers are not tested together so it makes the capacity unknown and there could be some slight compatibility issues. Since you have a set of Curt fifth wheel rails already what you'll want is the bracket kit part # C16441 which is a custom fit kit for your 2014 Ford F-150. Just the bolts aren't available. This is a custom bracket kit that is designed to fit your truck that would minimize drilling when compared to a universal style kit. We have fifth wheel rail kits that fit your 2009 Ford F-150 like the Reese kit part # RP50081-58 which is a custom fit kit and will work well, but the Curt kit you mentioned is not a fit. For just the brackets of this kit you'd want part # RP50081 but you should note that we don't recommend mixing rail and bracket manufacturers. Yes, you can get the underbed Curt Fifth Wheel Trailer Hitch brackets by themselves. You will need part # C16441. This is the brackets and the installation hardware without the rails. I have included a link to the installation instructions for you to view. I really wish I could say yes, but Firestone states that the bag kit you have cannot be used with an in-bed hitch like the Curt you mentioned. Would you consider switching suspension kits to one that is compatible? If so, the Timbren kit part # TFR1504D will work well with the Curt 5th wheel bracket kit # C16441. It also won't require maintaining air bag pressure as well.